Some awesome combinations make the Country Club of Sarasota real estate a potent source of highly desirable residential properties in the southwestern Florida area. This community is practically the twin sister of TPC Prestancia, another Palmer Ranch development which deftly integrates two golf courses with several neighborhoods. Distinct from these subdivisions, the Country Club of Sarasota nonetheless shares the pristine natural setting that the Prestancia golf links have created around its greens and fairways. Premium values are hence attached to the residences around these top-caliber golf courses. Country Club of Sarasota homes for sale, mostly single family residences, carry tag prices starting from the $300s for floor areas of around 1,500 square feet. The price point can rise to as high as $1.4 million for luxurious and spacious homes with floor plans of more than 5,500 square. These values also factor in the very strategic location of the 10,000-acre Palmer Ranch real estate. This property development, touted as the biggest in Sarasota County, has flourished since its beginning in the mid-1980s because of its proximity to several major thoroughfares. Included among these are US 41, Interstate 75, and Clark Road which all make mobility fast and convenient for its residents. Within minutes, residents at the Country Club of Sarasota on Palmer Ranch can be at the downtown commercial and business districts of Sarasota City which likewise has bragging rights to excellent arts and cultural centers. The Gulf Coast barrier island of Siesta Key, famous for its fine white sand beaches, is also a short drive off from the homes in Country Club of Sarasota. It is as delightful that recreational facilities, in addition to golf, are already accessible in and around the Palmer Ranch complex. 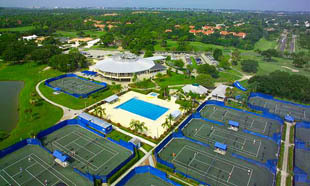 Superb tennis facilities, a fitness center, and a pool are available at the Serendipity Racket Club right inside the Country Club of Sarasota real estate. The Legacy Trail, a 10-mile walk/bike course, also forms part of Palmer Ranch. At Potter Park near the enclave, there’s the Sarasota Family YMCA and its stellar facilities for sports, fitness, and recreation. The choices here include access to courts for basketball and racquetball, a gym, a water park, an aquatic center, and a rock climbing wall. 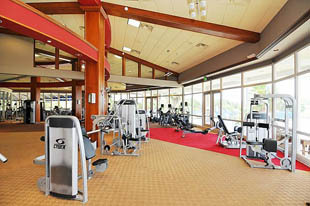 Conveniently, the Sarasota Square Mall is walking distance from the YMCA. At this mall are trendy shops, a food court, and an AMC Theater, that by themselves efficiently combine many of the elements that home buyers look for in ideal residential options. 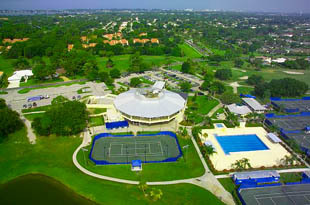 Below you will find the current listings of homes for sale in The Country Club of Sarasota. Please contact me if you would like to schedule a tour of any of the listed properties.